For the purpose of the DPA and GDPR we are the data controller and any enquiry regarding the collection or processing of your data should be addressed to Val Munro at our address 3 Oakbank Place, Perth, PH1 1DE. We will collect personal data on this Website only if it is directly provided to us by you the user, e.g. your e-mail address, name, home or work address and telephone number, and therefore has been provided by you with your consent. Normally you will only provide such details if you are filling in a form, signing up to free resources or are making a purchase from us. Your payment information (e.g. credit card details) provided when you make a purchase from our website is not received or stored by us. 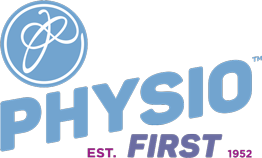 That information is processed securely and privately by the third party payment processors that we use.  Munro Physiotherapy Clinic will not have access to that information at any time. We may share your personal data with our payment processors, but only for the purpose of completing the relevant payment transaction. Such payment processors are banned from using your personal data, except to provide these necessary payment services to us, and they are required to maintain the confidentiality of your personal data and payment information. The information that we collect and store relating to you is primarily used to enable us to provide our services to you, and to meet our contractual commitments to you. Where you have consented to receive our e-newsletters or ‘freemium’ content, to provide that to you. As a general rule, we do not sell, rent, lease or otherwise transfer any information collected whether it’s automatically or through your voluntary action. We may disclose your personal information where you have consented for us to do so, we may provide your data to selected third parties who may contact you about their goods or services that you may be interested in. If you do not want us to use your data for our use, you will have the opportunity to withhold your consent to this when you provide your details to us on the form on which we collect your data, or you can do so by writing to us at the address detailed in clause 2, or sending us an email to val@munrotherapy.co.uk at any time.